/ CHI Limited Edition 1″ Hairstyling Iron w/Bonus Only $69.99! 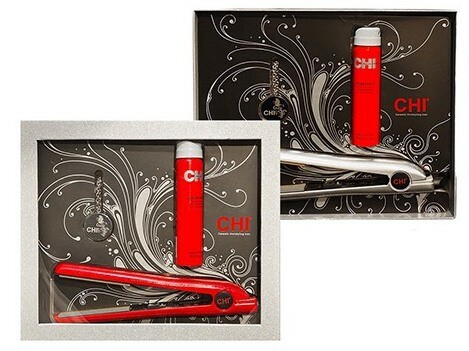 CHI Limited Edition 1″ Hairstyling Iron w/Bonus Only $69.99! for just $69.99! CHI limited edition ruby glitter 1 inch flat iron has ceramic plates and a ceramic heater that prevents the hair from drying out during use. Includes a free CHI helmet head hairspray 2.6 ounce and a CHI solid or cream perfume necklace. Woot offers one $5 charge for standard shipping on all your Woot orders within the same calendar day so make sure to check all Woot deal categories. Check out more Beauty Deals! Want to change your hair color? Go Brunette Naturally or Turn Your Hair Blonde Naturally! CHI Touch Dryer plus FREE CHI 1″ Styling Iron Only $199.95!